The Soviet Union, in Churchill’s famous words, was a “riddle, wrapped in a mystery, inside an enigma”; as such it made it extremely difficult for outsiders – including foreign intelligence services — to separate fact from fiction. The United States had a range of sources to gather intel: spies, bugs, publicly available information like brochures and books, and of course, defectors. 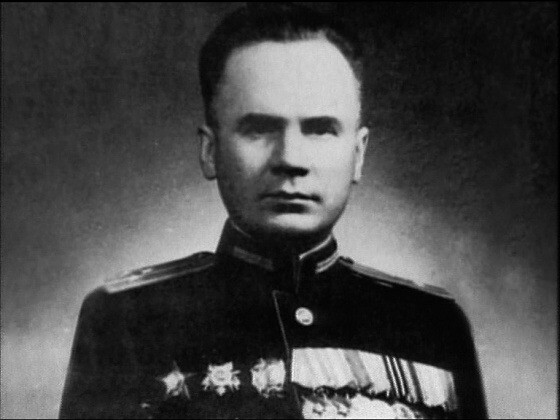 One of the most important defectors was Oleg Penkovsky, a Soviet colonel who provided information to the United States on the plans and descriptions of the nuclear rocket launch sites in Cuba. A few believe that Penkovsky was actually part of a Soviet plan to somehow mislead the U.S. into thinking that Soviet missile capabilities were not as advanced as previously believed. Penkovsky, true defector or not, was tried, found guilty, and executed. The Cuban Missile Crisis was a time of great tension for U.S diplomats in Embassy Moscow. 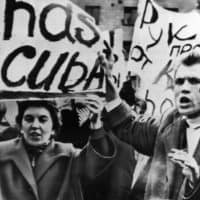 Some Americans during the Penkovsky case were declared person non grata, and “rent-a-mobs” surrounded the Embassy protesting U.S. actions on Cuba. 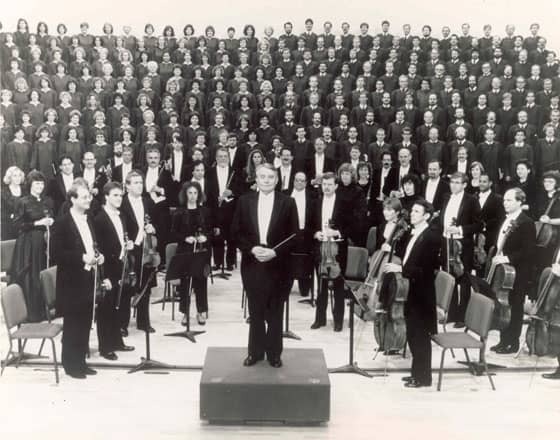 Oddly enough, the Russian people themselves seemed to go out of their way to express appreciation for Americans, as demonstrated in their ovations for the Robert Shaw Chorale, which was touring the USSR at the time. In this look back to one of the most dangerous times of the 20th Century, William D. Morgan tells how he spent much of his time in the Soviet Union collecting books to send back to United States government agencies as a source of intelligence and his views on Penkovsky. Richard Funkhouser and Jack R. Perry discuss the mood in the city at the time. Morgan was interviewed by Lester Elliot Sadlow in June 1995. Richard Funkhouser was interviewed by Charles Stuart Kennedy in February of 1988. Jack R. Perry was interviewed by Henry E. Mattox in July of 1992. You can also read one Foreign Service Officer’s account of the Crisis from the Ops Center and these Moments on Russia and the USSR. MORGAN: There were two of us — Bob German and I. The briefings before I left Washington were at the CIA (Central Intelligence Agency), the Library of Congress, and so on…. The job, publications procurement, was exactly that. I bought books and periodicals. In those days — and from the beginning of our diplomatic relations with the Soviet Union in the 1930’s, through World War II, and since then — the PPO (Primary Party Organization) job was probably the single most important source of intelligence about the Soviet Union. This was because our contacts with anti-Soviet agents and defectors in and from the Soviet Union were limited. 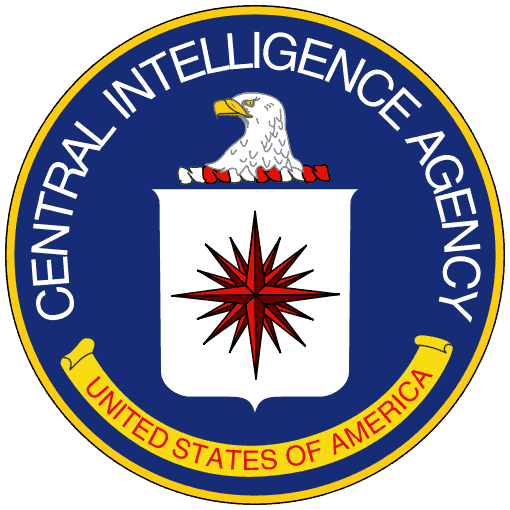 As you know, the entire world of the CIA and other such agencies is to decide what is good intelligence, what is important, and what goes to the President…. The Penkovsky Affair was the big spy/intelligence story of our time, or at least my tour there. In fact, my colleague, Bob German, was accused of being involved in that case. I’ll get back to that later. The publications procurement job involves going out and buying a copy of every new book that you could lay your hands on published in the Soviet Union, period. We called this “WF,” a not so terribly secret acronym for the funds given us by the CIA. It stood for the “Working Fund,” and the Soviets must have known this. We had a delightful Russian national packer down in the Embassy storage area. He would bundle up books for us, once a week, to be shipped out by diplomatic pouch. He must have known the purpose of his labors and the source of his salary, or should I say salaries. That’s how we shipped the books out to 19 agencies, as I remember, in the U. S. Government. 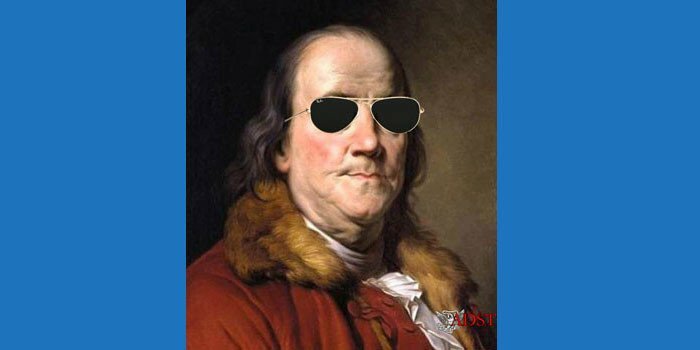 The principal customer was “WF.” They (the CIA) paid all of the bills, then, back in Washington, the various agencies would resettle the accounts. The second biggest customer was the Library of Congress. The Library of Congress wanted a copy of every new book, magazine, newspaper and map published in the Soviet Union, except novels! They would scold me if I sent them a novel by mistake…. The actual modus operandi was that Bob German and I would divide up the Soviet Union. We would make trips to every single republic and to Siberia. One or the other of us were on the road, most of the time. Usually a given trip lasted for about a week. We would go to the capitals of the various Soviet republics, because we were pretty much restricted by the authorities from going anywhere else. They wouldn’t let us into smaller places — and certainly not to the more interesting places. Leningrad was, thank Heavens, one of the exceptions. In Moscow, Bob or I went to Bookstore No. 1 every Monday. We had a marvelous relationship with the lady there who ran the shop. She said to us once, “You help me to fulfill my monthly quota!” She loved us. She set books aside for us, as did many of the other, specialized bookstores in Moscow, and particularly the Map Library. 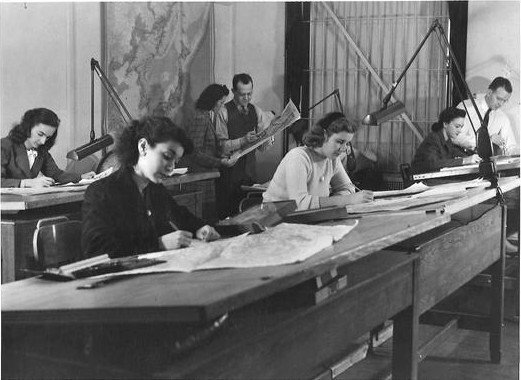 We had a special, and very good contract with the U.S. Army Map Service [pictured]. In turn, we had a special arrangement with the guy at the Map Store in Moscow. He knew where his maps were going, but he could meet his quota with our help. He would curse us for buying maps by the dozens to ship to “the enemy”, but then grin an appreciation whenever Bob or I would go into his store, and Bob or I would do so quite often. The Map Store had a different name in Leningrad, now St. Petersburg. However, in Moscow the principal outlet was Bookstore No. 1 — I can’t remember the full name in Russian. When the bookstore lady got in a shipment of new books, she always set aside one copy for us. I would arrive at the shop and go back to her office. She would pull out of a cupboard stacks — sometimes 100 or several hundred — new books. I would take every one of those books. In pencil, up in the corner I would put 0, 5, 15, 100 or whatever. Mentally, I had to figure out which of my “customers” wanted this particular book, and how many copies. What I did was to turn to the back of the book, look at the “tirage“—the number of copies published — and thereby whether this was a relatively “rare” or limited publication book. I had to be careful. If I took all 100 copies of the book, then she would say, “I can’t do that, because I have to provide this to this or that other customer.” So you had to figure out how to settle this. Our “coup” was the book by a Soviet general — Sokolov, as I remember — on new Soviet nuclear power strategy. Somehow, this book got through the distribution system and was published. The U. S., military, and others at home, went wild about that one. We bought about 300 copies of it over a period of time. It was “the” document used by the U. S. military for years as “the Bible” as far as our relationship was with the Soviets in terms of our nuclear power interface. That is just an example. The Russians were very precise. They don’t “lie” unless they have to, for some ideological reason. They are proud of their scientific research, their map-making, and all of this. So we knew that what we were buying was pretty good stuff — unless it was deliberately intended to mislead us. But that’s the way we did our job. We marked the copies. Then the bookseller might say, “Oh, I only have 10 copies. I don’t have the 20 copies you want.” Then she’d say, “Why do you want 20 copies? Who back there [in the United States] wants 20 copies?” And she’d laugh. She couldn’t care less. I would go to other bookstores, although less often, all over Moscow and the Soviet Union. 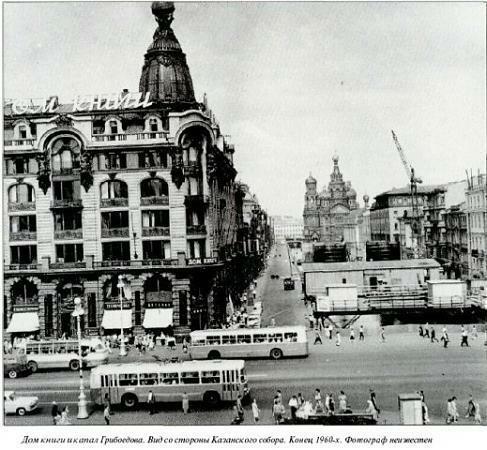 I went to Leningrad, probably every two months. Kiev we did every two or three months. The farther you were from Moscow, the more relaxed the booksellers were and the more they enjoyed it — with some exceptions, and that’s where the KGB came in. They knew what we were doing but they didn’t dare stop us. If they did, we could, although to a less effective degree, pull down the curtains in the U. S. on them and make their purchasing of U.S. books more difficult. I hope that they knew in their heart of hearts that their information, which we were getting, was far more valuable than what they could get out of public sources in the U.S.
To go back to your question about the context and atmosphere of our trips during my first year in Moscow as PPO, that was where Bob German was caught. “Caught” is the wrong word, but that’s what happened, in connection with the Penkovsky story. Bob was publicly named as having been in a certain bookstore, taking information from Penkovsky. It was in the newspapers as part of the material bought up at Penkovsky’s “trial,” at which Penkovsky was found guilty and subsequently executed. I was not included as one of the “evil” [ones]. We concluded German was singled out in order to blacken or at least throw suspicion on our book-buying and perhaps caution our bookstore helpers. Penkovsky was a Soviet military officer who defected to us inside the Soviet Union. Those who defect decide that they wish to associate themselves with the United States or another country. Those who stay in their country are the greatest sources of intelligence because they remain plugged into the system. He was a Soviet Air Force officer, I believe, although I am not sure. It doesn’t matter. He was high enough up to have access to some very interesting material at the time of the Cuban missile crisis in 1962. This relationship with Penkovsky lasted over a period of years. Our Embassy doctor was an Air Force officer. I don’t think he was the CIA Chief of Station. Anyway, he was the principal contact with Penkovsky, “under the lights and by the bridge” as was reported in the Soviet press. The “doctor” was PNGed — declared persona non grata — and kicked out of the Soviet Union. What the KGB caught Penkovsky on was passing information over a lengthy period of time. But the most significant thing was that he — as I understand it, though not from my own sources but from the newspapers — was the principal source for information about Cuba over the years regarding what the Soviets were going to do and how they were going to do it. This climaxed after the Cuban missile crisis in 1962. Q: What does that mean, “go to the lamp post”? MORGAN: That’s where they exchanged information and money, the traditional — or at least written in spy novels, and [Soviet newspaper] Pravda — way in which espionki (espionage agents) do their business. They do it [dead drops] in a mail box, or by lamp poles, “under the bush,” or something like that.…. Q: The Cuban missile crisis. That was October of 1962. How did this play for you in the Embassy in Moscow? FUNKHOUSER: Well, it was, as you know, startling. When the crisis broke one of the things that impressed me, as in the Middle East, mobs formed, so called. Crowds formed. But unlike the Middle East nobody got stoned, as an American would during the Suez crisis. The so-called mobs and demonstrators in Moscow would stop when the red traffic light came on! They’d stop! Q: We used to call them “rent-a-mobs” in Yugoslavia. FUNKHOUSER: You know exactly what I’m talking about. But to see any demonstration in the Soviet Union was really new to everyone. We were all told not to provoke the crowd. Just board up the windows at the Tchaikovsky Boulevard Embassy. Some of us lived there. Not to appear in the windows, which would be mob-inciting, as it certainly would in any underdeveloped country. Of course, we peeked out, and I remember, and this is illustrative of the question you asked. Here’s this great demonstration. A few ink bottles thrown at the Embassy. The police were down with the demonstrators, but not doing anything. And one of the New York Times correspondents, Ted Shabad, we noted leaving, which we were forbidden to do, but you can’t control the press. Leaving the embassy compound, going out into the mob, the demonstrators. Well, we wondered what would happen. And a circle formed around him, and the police were near him. When he came back, we asked. Nothing apparently happened, except that’s what happened. They all wanted to know what the news was. They were scared to death that there might be trouble — really worried. It was quite clear that the people were demonstrating that they didn’t want any part of confrontation with the U.S. That must have influenced Khrushchev, as well as the bombers we sent towards Soviet Union. Q: Did the Russian bureaucracy during this period shut down on you? FUNKHOUSER: No, no. In no way. No way. I dealt with Gherman Gvishiani, who was the Deputy Minister for Scientific and Technical Research, the organization that basically is charged with stealing our commercial secrets. Oleg Penkovsky, our famous spy who tipped us off on missiles in Cuba, was one of my principal overt contacts in his capacity as Protocol Officer of Gherman Gvishiani’s Committee for Scientific and Technical Research. But until shortly before he was caught, tortured and shot, I was kept in the dark about his spy role. I found him rather pompous and gave little deference to him, undoubtedly to his surprise and annoyance. Only when the DCM [Deputy Chief of Mission] Jack McSweeney wrote out on a piece of paper (to maintain mandatory audio-security in the Embassy) asking whether I had invited Penkovsky with other Committee officials to my periodic “movie night” in my Embassy apartment did I suspect his vital role. “Need to know” had been successfully followed. I learned later that it was in my bathroom that he was tipped off that the KGB was closing in on him and that he had sent his last, fortunately erroneous, warning to the USG [U.S. government] that the Soviets were to launch their nukes! Ironically, I was the temporarily ranking officer in the Embassy when called to the Foreign Office to receive the official Soviet protest of U.S. spying…. PERRY: The Cuban missile crisis was an especially interesting time….It’s hard to document this, but the feeling that my wife and I and our friends felt was that the Russian people were, by and large, trying to show us Americans that they were our friends and that they did not want war. In a general way, this has always been true. Whenever I’ve been in the Soviet Union… most Russians like Americans and they’ve generally tried to show it. But during the Cuban missile crisis, I think that we felt a particularly strong feeling that the Russians were trying to communicate to us, in any way they could, that, gosh, we don’t want war, and we have nothing against you. To give you an example of how you felt this a little bit in the air, we had a performing arts attraction that was touring the Soviet Union at the time. As I recall, it was the [Robert] Shaw Chorale. They had been touring for some time before the Cuban missile crisis, and they were having a successful tour, but not an overwhelming tour. MORGAN: I k new that if the ships set sail, that would indicate that there were some problems with the Soviets militarily reacting to the Cuban missiles crisis. But our indications, apparently through Penkovsky, were that the Soviets didn’t intend to do anything. The Soviet ships already en route to Cuba would reverse course and in fact honor the quarantine. 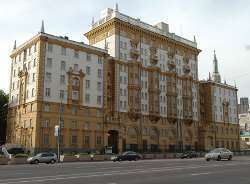 So I would reported to the Embassy over the next few days in “double talk” on the location of Soviet Navy ships in Leningrad; they were not moving, nor was there any anti-American demonstration. Nothing. All was incredibly calm. I thought about this later as I was reading a front page story in The New York Times. 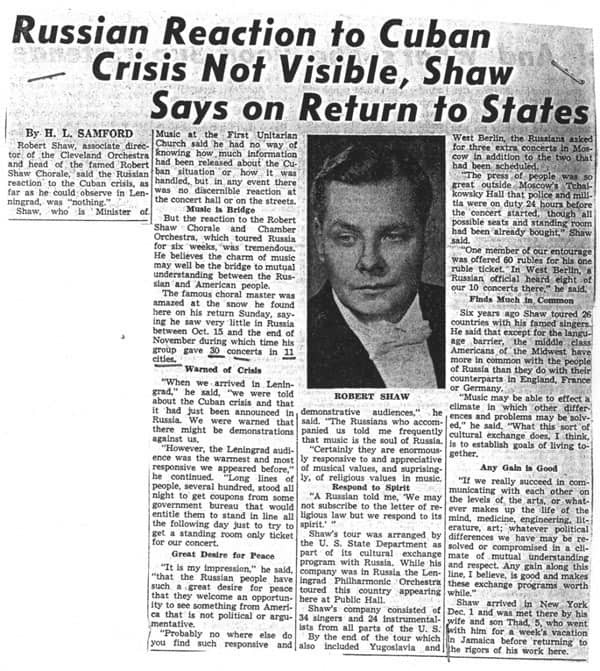 It reported that I was the only American diplomat who had not returned to Moscow [as other U.S. diplomats had been required to do], that the status of the program of the Robert Shaw Chorale was probably indicative of the trend of events, and that the Soviet Union was not about to do anything “inflammatory,” for whatever reasons.